Just this month we made a detour in Antique from our Boracay vacation. We met friends who are based in Antique a week before our trip in Boracay. We learned that Antique is less than an hour away from Caticlan Jetty Port then they showed us virgin forest, clean river – world’s cleanest river if I may give emphasis, turquoise water, fresh sea food and the big Kawa where you can bathe as if you are being cooked – the iconic must do in Antique. 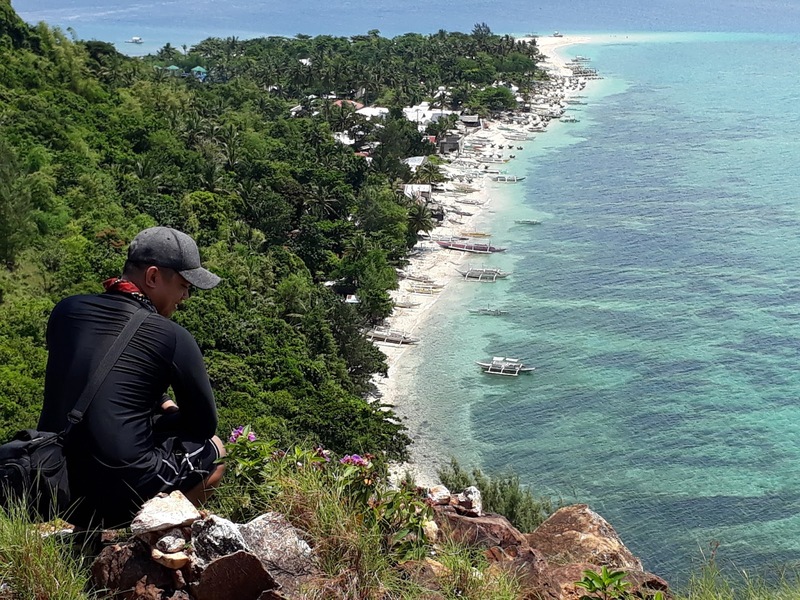 The things that they showed made me fall for Antique soon after and Las Islas Travel and Tours made me fall in love with this beautiful province. Let me show you the 11 things that you will love about Antique. Our first stop was the Malumpati Cold Spring in Pandan, Antique. It is the cleanest body of water I ever saw and experience in my whole life. The color of the water will make you believe that clean river still does exist. The best thing you can do in Malumpati is River Tubing and enjoy the cold spring after. 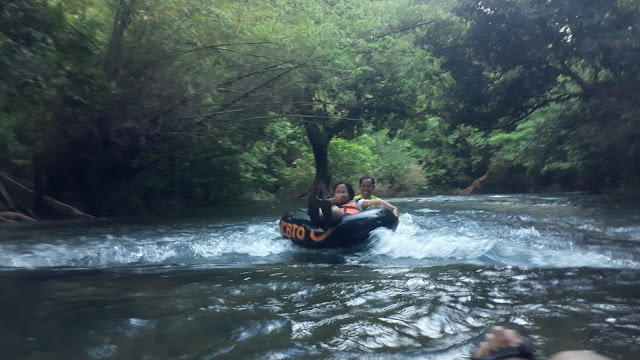 The 15 minutes river tubing is organized and professionally guided by the locals. Each tourist will have one tuber/guide with him so that safety is assured. Malumpati is one of the best thing in Antique. I enjoyed the river rapids while chilling in its very cold water afterwards. I am sure you’ll love to stay in this island for a day or two. It’s just so beautiful and jaw dropping. White sand beach with crystal clear water will do your tanning easy but lovely. Kawit sandbar is where most tourist stays. Boats docks near the sandbar since all the houses, stores, transient houses, cottages for rent is located near Kawit Beach. The sandbar is attached to the mainland. The white sand is not that fine like in Calaguas or Boracay but it has its own character that you just want to lay on it for the rest of the afternoon. One of the unique experience you will have in Malalison Island is to see hundreds of Pitcher Plant and other endemic flora. Pitcher plants grow wild in the island. It’s a unique plant in which, it eats insect and stores water into it. When you saw a pitcher plant in Malalison Island, don’t try to bring it home. It should stay where they are to preserve the beauty of the place. Take pictures but don’t ever pick it. Your local guide will not let you do so. 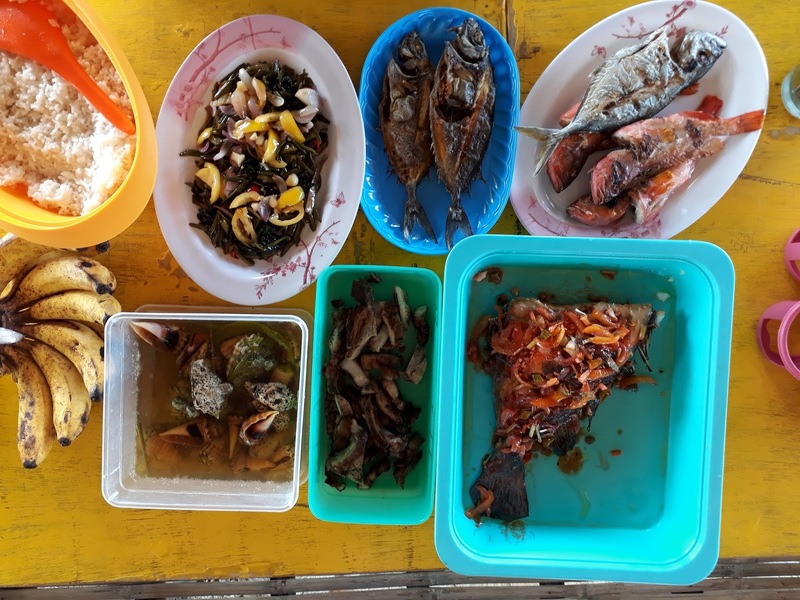 It is not a secret that the Philippines has the best seafood in the world. No doubt, we are surrounded by waters. When you go to Antique be assured that you’ll enjoy the colorful and fresh seafood in your table. When we went around the community in Malalison Island, we saw a lot of fish that is not usual in Manila. It reminds me of my stay in Cuyo Island where I also saw a lot of colorful fish sold for a very low price. After our half day tour in Malalison Island, we headed to a workshop of one of the oldest form of art in the world which is pottery. 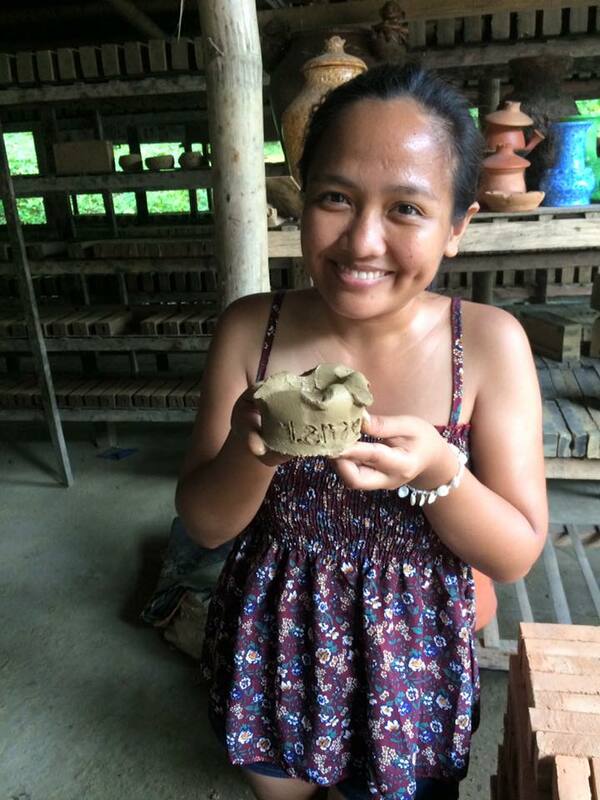 Lana, my girlfriend is very excited for this activity because she loves pottery. Pottery will make you relax and trains you to be more focused. 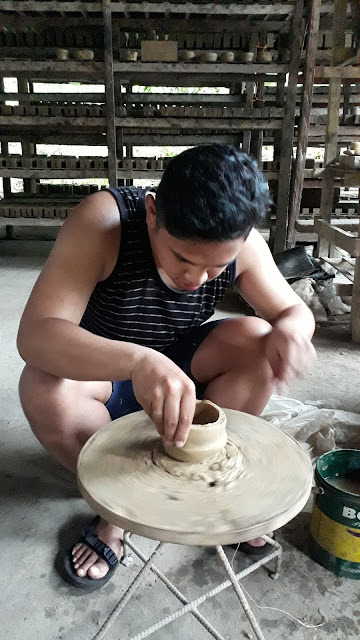 Like other pottery workshop in the Philippines, the master potter demonstrates to us then we try to do our own works of art. 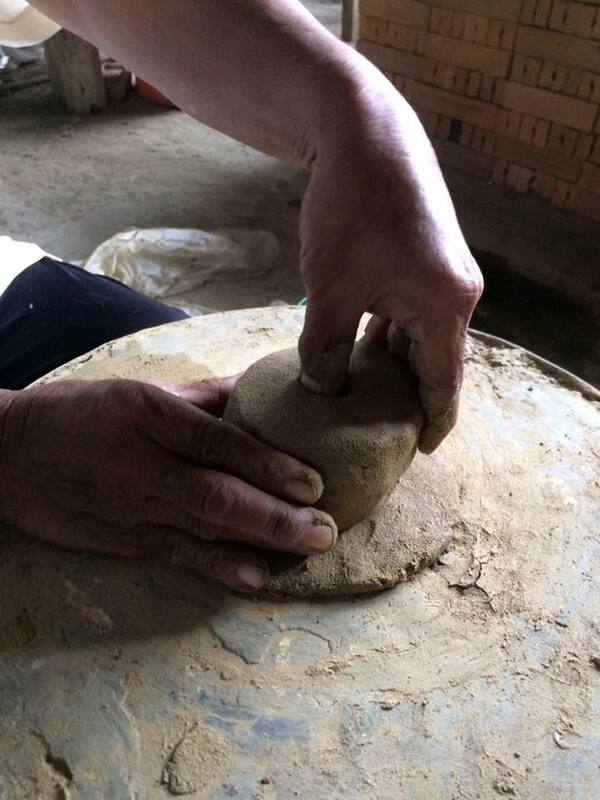 What I notice in Antique Pottery is that they use a cloth to further smoothens the clay. Loom weaving is a common practice in Southeast Asia that dates since the pre-colonial period. Here in the Philippines, we have plenty of weavers preserving the art of making colorful textiles for various usage. 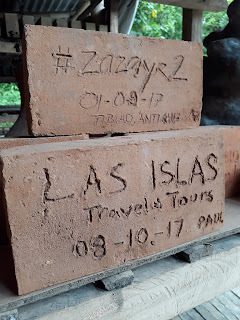 We were very privilege that Las Islas Travel and Tour brought us to Tibiao Loom Weaving where in women are taking part in preserving the culture. They create patterns which are very colorful and meticulous in design. Most of their products are commissioned by various traders, designers, and other groups using indigenous textile. You can still buy their products though at a very reasonable price. I was excited to visit the Tibiao Loom Weaving because I want to bring home something that is made in Antique. The shoal that I bought was hand crafted by a mother in Antique – I have with me the soul of the place which is alive and culturally important. Since the Philippines has lot of mountains, streams, rivers, waterfalls etc etc… it is not impossible that you will encounter one when you visit any province. In Tibiao, we trekked Bugtong Bato Falls for less than an hour. The scenic trek allowed us to rejuvenate and appreciate nature in the most solemn way. Farmers this area of Tibiao crafted a beautiful landscape by making a mini rice terraces visible along the trail of Bugtong Bato Falls. Cool off when you reached the falls while mesmerized by it grandeurs beauty. 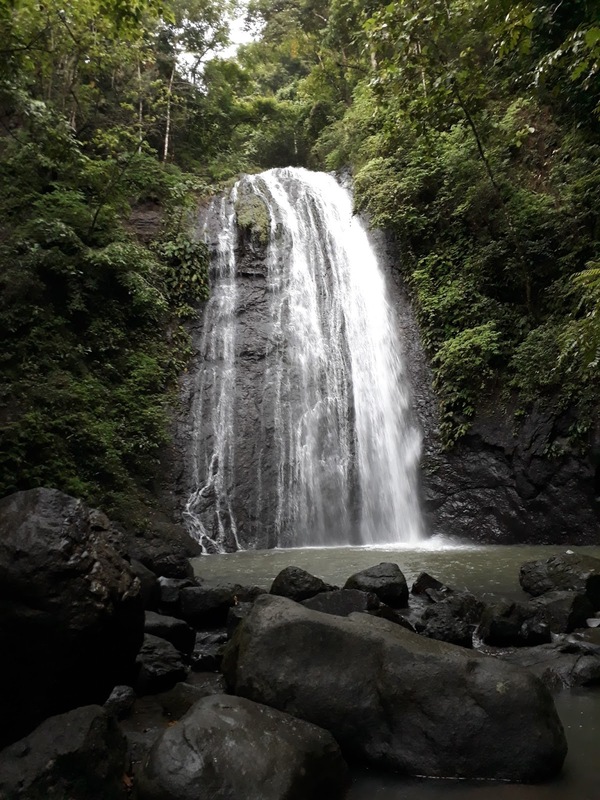 You can do picnic in Bugtong Bato Falls without paying any entrance fees. There is, or course a guide fee for a minimal amount. The guides are the locals living the community around the falls. Tourism is a sustainable income for this people so be generous and have an open heart to them. Kawa Hot Bath has been the face of Antique tourism for so many years. And why not, it is one of a kind experience to bathe in a large kawa that seems you are being cooked. It is relaxing and contributes to our overall being because number one, we are happy while in the kawa and number two the green leaves and colorful flowers gives medicinal value to our bathing. It’s not just a design and picture taking purposes. These Kawa were once used to cooked sugar. When technology improves, these kawas were left behind. 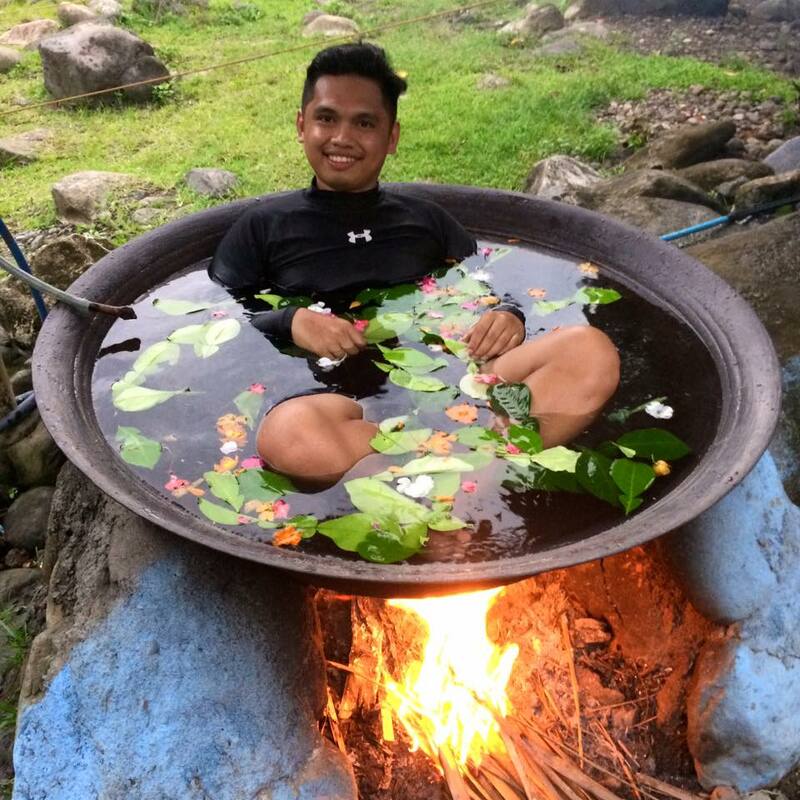 Since Filipinos are very ingenious they use this as hot bath. Tourist started to notice this unique travel experience and the rest is history. Lastly, Antique is far, almost unknown to many of us, bewitching because of some horror stories, very rural – these what makes the province very peaceful and special to me. Not everyone will like the rawness of Antique, but I am very sure that we all long for peace and serene vacation and too much extent, life. When you drive to the terrains of Antique, you will experience the mountains meeting the sea. On the other side is the mountain range where Mt. Madjaas is located while on the other side is the Sulu Sea. Antique is the next big thing. It has one of the best island in the country and the most enchanting travel experience to offer. Someday, it will not just be the side trip of your Boracay vacation but your destination itself. Book a flight bound to Kalibo or Caticlan. Air Asia Philippines fly daily from Manila to Kalibo and Caticlan. Kalibo to Antique. 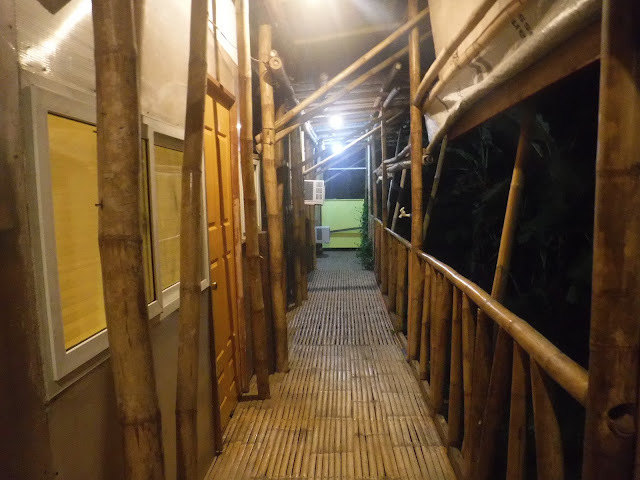 Take a Ceres Bus bound to San Jose, Antique and tell the driver to drop you in Kasa Raya Inn in Tibiao. Travel time is 2.5 hours to 3 hours. Caticlan to Antique. Buses from Kalibo will pass by Caticlan, therefore take a bus bound to San Jose, Antique and tell the driver to drop you in Kasa Raya Inn in Tibiao. 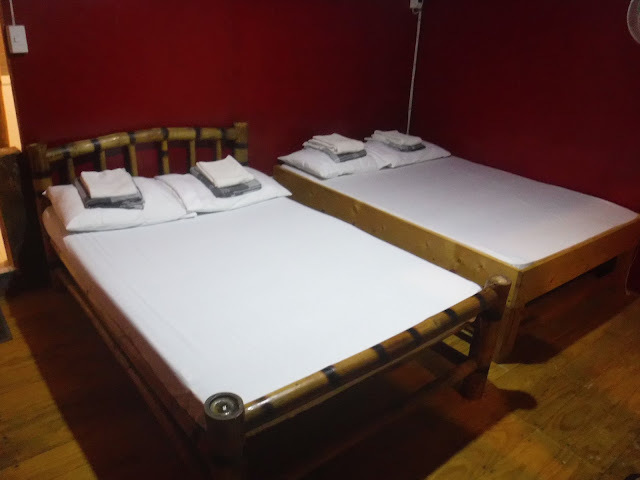 There are a lot of budget inn or hotel in Antique. We stayed in Kasa Raya Inn in Tibiao, Antique because their rustic accommodation and hospitality suits our vacation type. For Php500 per night per person with breakfast and free WiFi (yes, they have wifi) you’ll have the best accommodation in Antique. 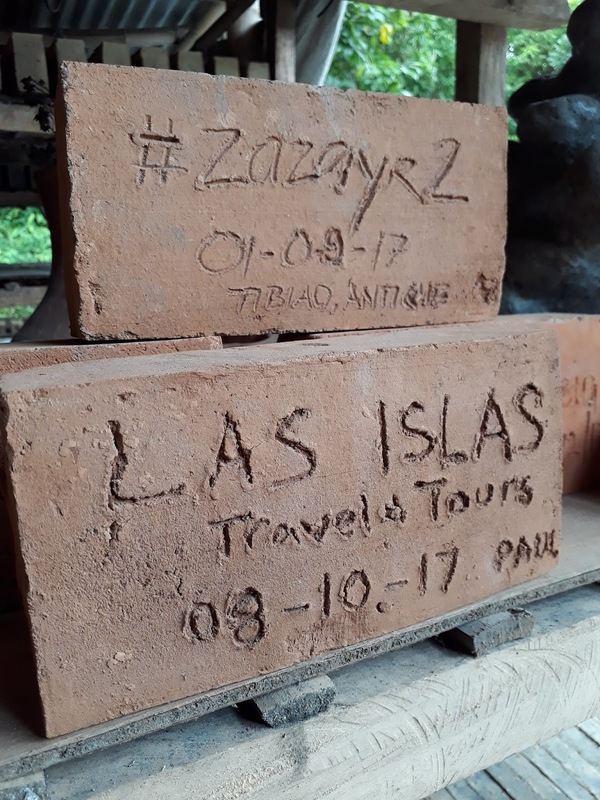 Las Islas Travel and Tour made our Antique Experience seamless and memorable. There is a limited flow of public transpiration in Antique. It may do for backpackers who has a lot of time to spare on the road. I wish I have that time, but my work schedule does not permit me. For a traveler like me who has a “8-5” job, a reliable tour operator is a must. 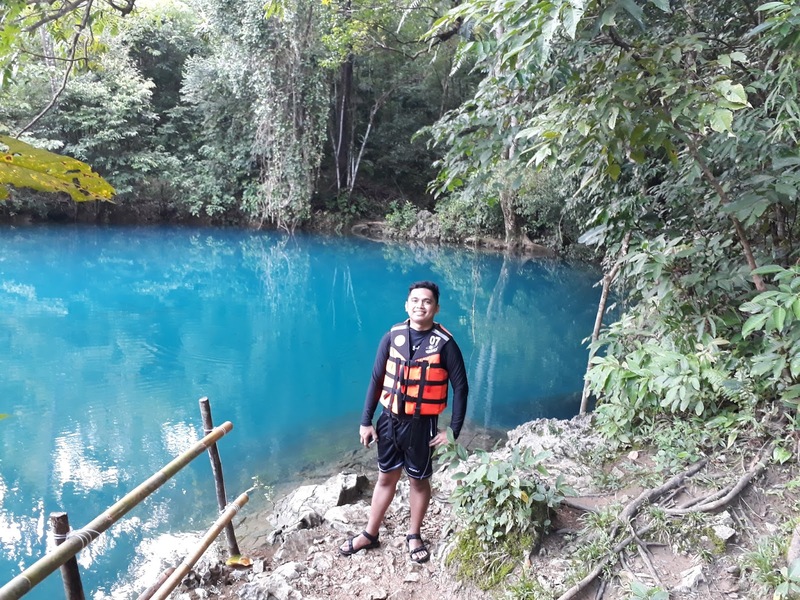 With its DOT accredited guides and who professionally execute tours not just in Antique but in Panay Island you can have a worry free vacation with Las Islas Travel and Tours. Note: This is a sample itinerary. You may reach out to Las Islas Travel and Tour for any modification or question regarding the tour. You can also arrange for 1-day and 2-days tour.